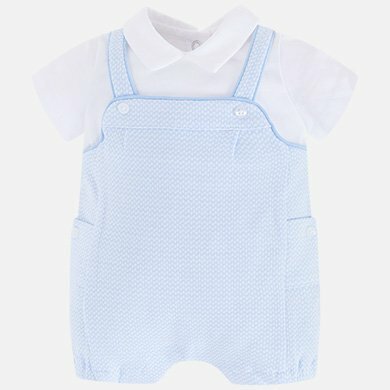 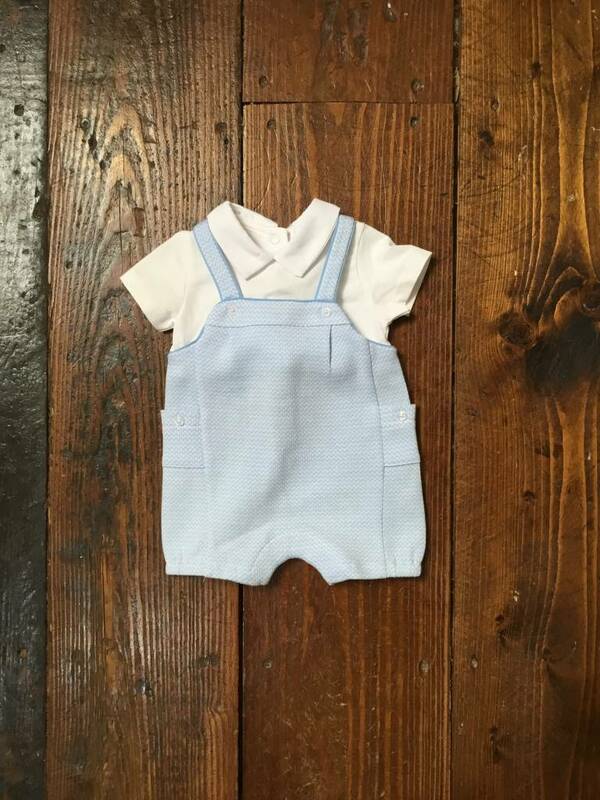 Stylish boy bib overalls for summer, made of smooth plaid knitted fabric. 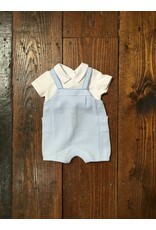 It has beautiful details in pocket tucked in seam, buttons and bottoms with elastic band. 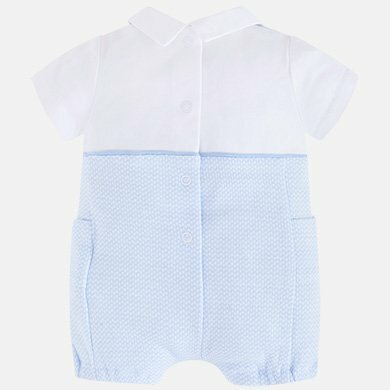 Contrasts in vivid stitching throughout the garment.